Explore your inner worlds through monthly book discussions covering topics such as past lives, dreams and reincarnation. 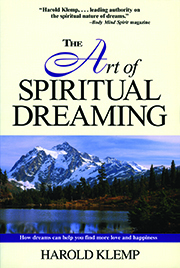 Please join us for one, some, or all interactive discussions based on the book The Art of Spiritual Dreaming by Harold Klemp, the Spiritual Leader of Eckankar. It is not necessary to have the book to attend a class. Come share your stories, experiences, and questions. Copyright © 2018 ECKANKAR. All rights reserved.